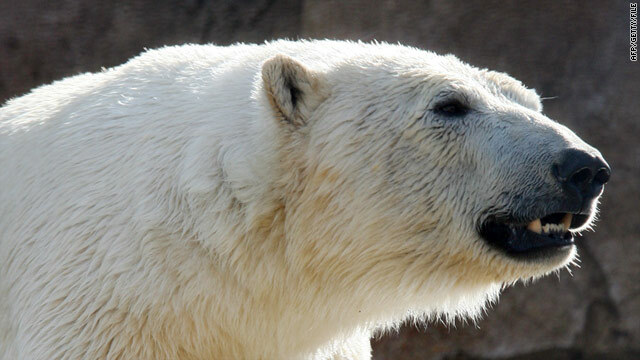 The polar bear has been killed, according to a statement from Svalbard governor's website. (CNN) -- A 17-year-old British boy is dead and four others are severely injured after a polar bear attacked their tents as they took part in a school trip to the Norwegian Arctic archipelago of Svalbard, officials said Friday. The five were among a group of 13 from a British school who were at the Von Postbreen glacier, a statement on the Svalbard governor's website said. Those injured are 16, 17, 27 and 29 years old, the statement said. They are being flown to a hospital in the northern Norwegian city of Tromso, after initial treatment in Longyearbyen, the largest settlement in Svalbard, situated about 40 kilometers (25 miles) from the glacier. Police are investigating the attack, which occurred early Friday. The eight members of the party who were unharmed are also being cared for, the Svalbard governor's website said. The polar bear has been killed, the statement added. The United Kingdom's Foreign Office confirmed that a British national had been killed and said relatives of those involved had been informed. "A consular team headed by the ambassador and the vice consul are on their way to the scene," a spokesman said. A notice posted on the website earlier this year warned of polar bear sightings near Longyearbyen. Seeking out or disturbing polar bears is banned under local laws. Jim McNeil, a polar explorer, told ITV-News reporters in London that explorers often set trip-wires around a camp that will create a disturbance when triggered, alerting everyone to the presence of a bear. McNeil said it is possible that, in this instance, the trip-wire malfunctioned, or that the camp was simply been targeted by an enraged bear. "Occasionally, very, very occasionally, you get a bear that is, for whatever reason, in a stinky bad mood and they are very difficult to deal with," he said. "In Svalbard, for example, the locals will shoot three bears on average, a year, because of encounters." McNeil said people should always develop a watch system so that someone is always awake to alert the camp to bears. He added, ultimately, explorers have to rely on good training. "Before you go out and you take on Mother Nature -- Polar Bears are top of the food chain ... and you must wholly respect that and you must be knowledgeable about what you're taking on," he said. CNN's Erin McLaughlin and Antonia Mortensen contributed to this report.